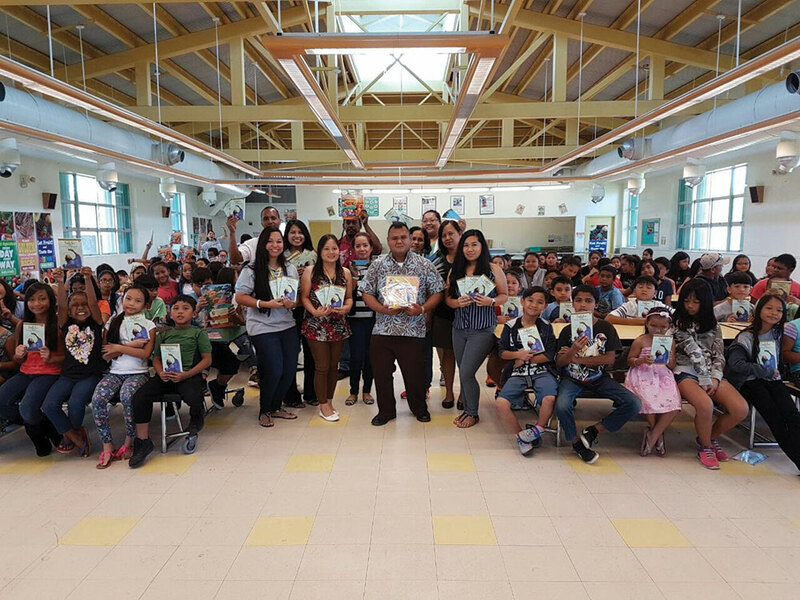 Education Specialist Jovannalyn Mafnas and Education Manager Jaclyn Balajadia represented Pacific Historic Parks in donating books to elementary schools on Tinian and Rota. Tinian Elementary School and Sinapalo Elementary School each received 50 Sadako and the Thousand Paper Cranes books and origami paper for schools to share the story of Sadako and fold paper cranes in honor of peace. For the past year, American Memorial Park has been sharing the story of Sadako Sasaki, a young Japanese girl who was two-years old when the atomic bomb was dropped on Hiroshima on August 6, 1945. Sadako’s story has made her a symbol of victims of nuclear warfare. The sharing of this story and its connection to the Commonwealth of the Northern Marianas Islands has inspired many to work toward a more peaceful world. American Memorial Park Education Specialist Jovannalyn Mafnas represents Pacific Historic Parks in donating Sadako and the Thousand Paper Cranes books and supplies to Tinian Elementary School. 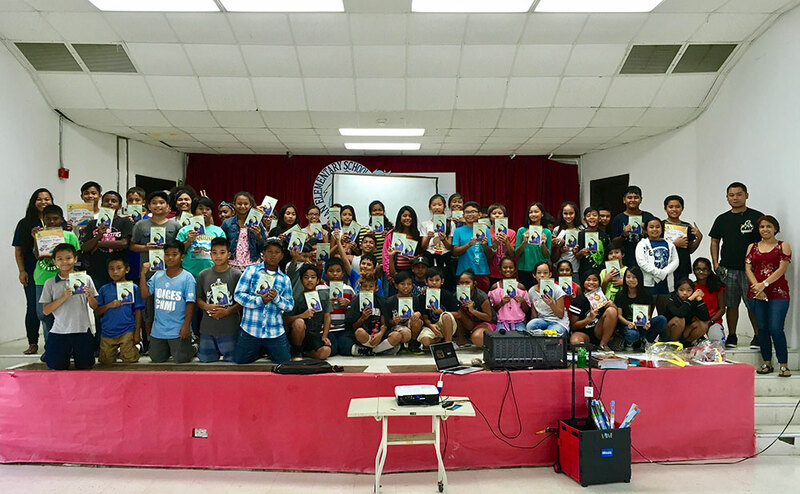 During the visit, books and supplies were donated and over 200 students were given presentations about National Parks in the United States including American Memorial Park on Saipan. After students read the story of Sadako and the Thousand Paper Cranes, they are asked to fold paper cranes which American Memorial Park will collect and send to be displayed at the peace park in Hiroshima, Japan in late summer in honor of Sadako Sasaki and World Peace Day.